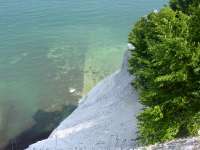 and formed one layer after the other of chalk on the sea bed, then this chalk stratum began to grow. 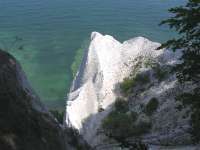 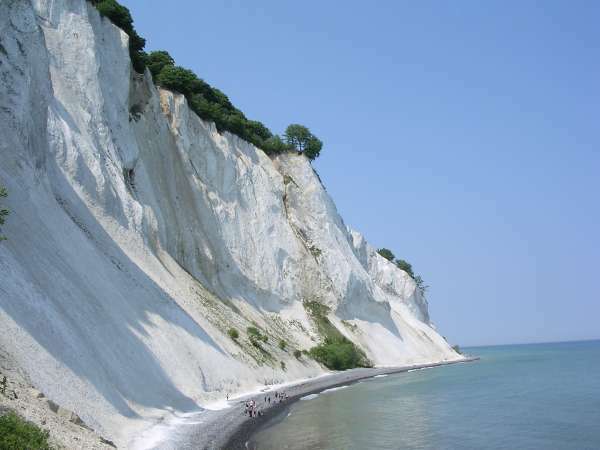 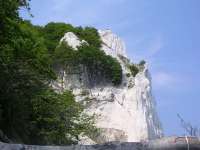 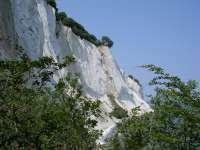 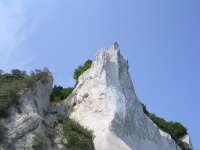 while it pushed the sea bed in front of it causing the chalk strata to dislodge and Møns Klint was born. 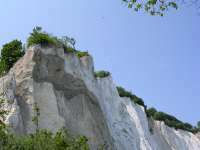 And for the last 4-5000 years the ocean and the weather has shaped this beautiful chalk cliff! 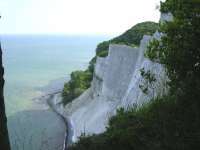 Møns Klint is 8 kilometres long and is as its highest 128 meters. 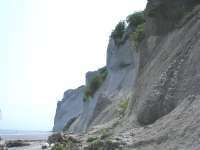 There is a good chance of finding fossils such as belemnites - spine from the octopus and sea urchins on the beach. 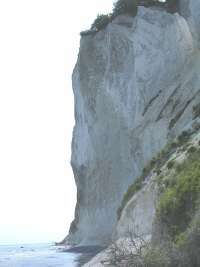 fossilised halicondria, especially after winter storms.